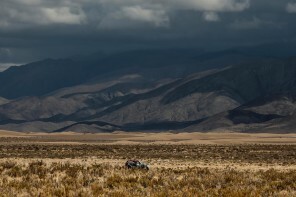 We weren’t suppose to be reporting on this for another couple of weeks. 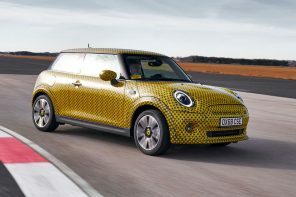 But due to the leak of three photos yesterday, MINI has decided to go ahead and release the Countryman across the web this morning. 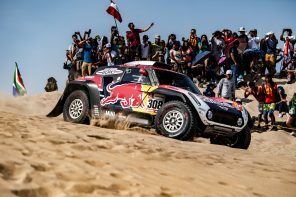 However instead of just regurgitating all information that you’ll surely see elsewhere on the web (in the form of copy ad pasted press releases), we wanted to give you our first impressions of the car and some insight into what to expect with its coming release. 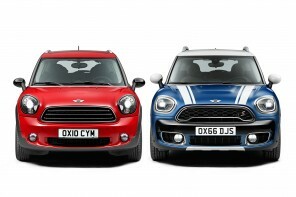 One quick note, because of legal issues, MINI will not be able to use the Countryman name in all markets. We’ll have more on that in the coming days. Exterior design is always subjective. 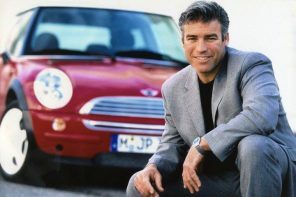 And when you’re dealing with a brand with so much heritage, it can be a herculean task to create a new shape within the context of a new model range. 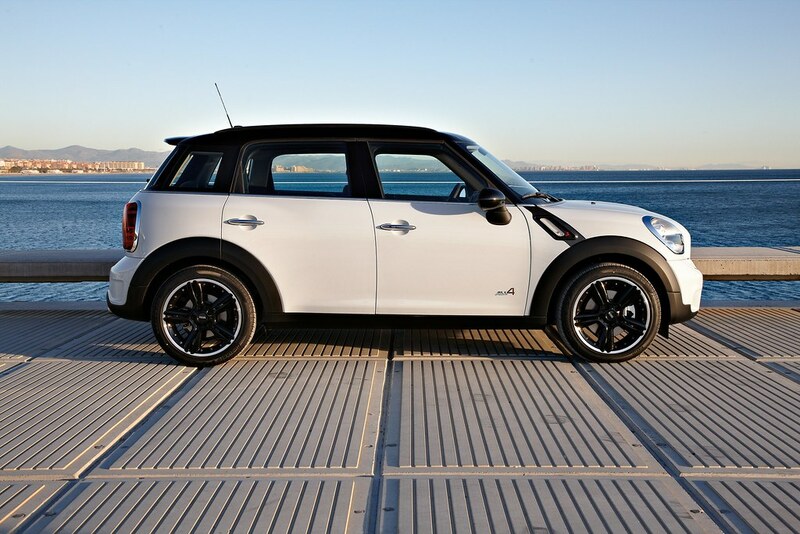 But that’s exactly why the Countryman is so impressive. 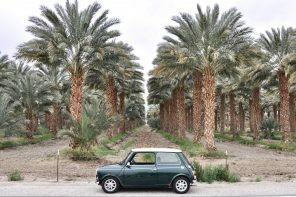 In this vehicle MINI has both departed and embraced the visual language that they have so carefully crafted over the last 10 years. 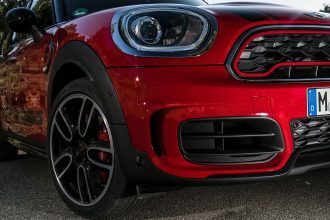 The Countryman departs greatly from the R50 and 56 with its entirely new design for the headlights.The new shape accentuates the grille and the height of the front the car in all the right ways. 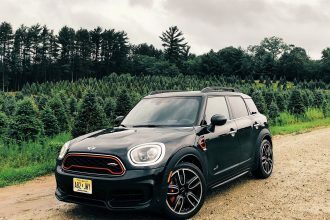 It’s such a considerate design in so many ways because it allows you to notice shapes, angles and design nuances around the front of the car that are quite subtle. So subtle in fact that it’s probably unlikely they’ll all reveal themselves to you in photos. But trust us, they are there. Around the side MINI has established a new side grille to further show-off this MINI’s new found height. 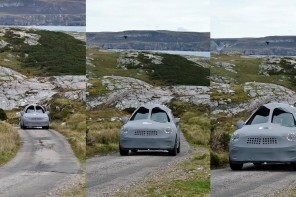 As you walk to the back you start to see the sculpting that has been done to the rear fenders. 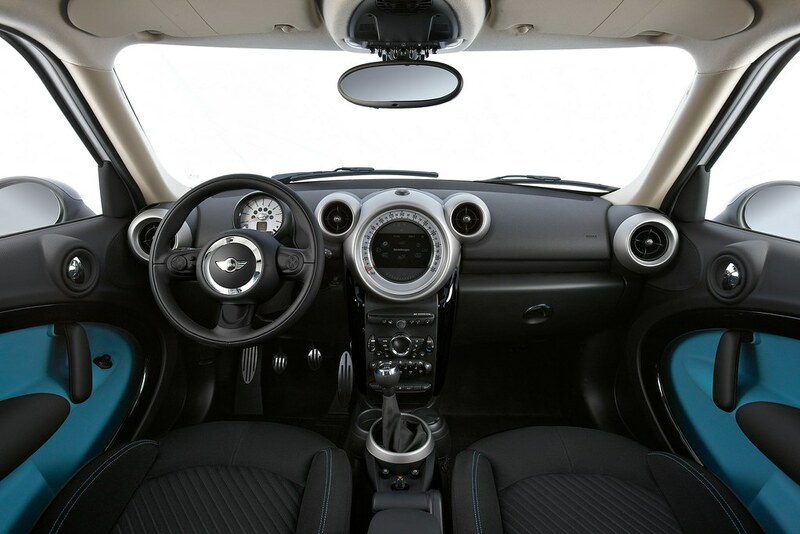 This is a first for MINI and is meant to speak to the “All4” drive drivetrain that is optional for the car. Also a nice touch is the flare on the lower portion of the doors. 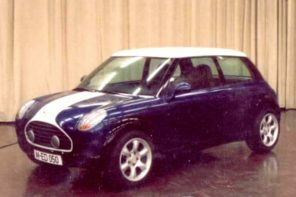 The 18″ wheels on the car (pictured) are standard wheels for the Cooper S with the sport package. 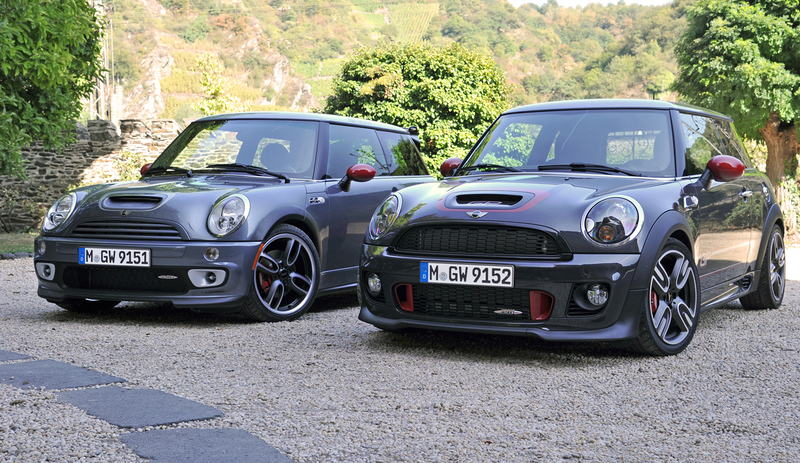 While we prefer them without the silver lip, they do work exceptionally well with the white body and black trim. 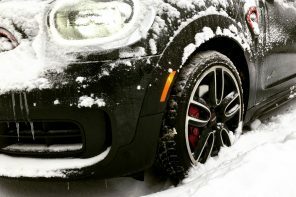 And for those wondering, they are not interchangeable with BMW 5 lug wheels. 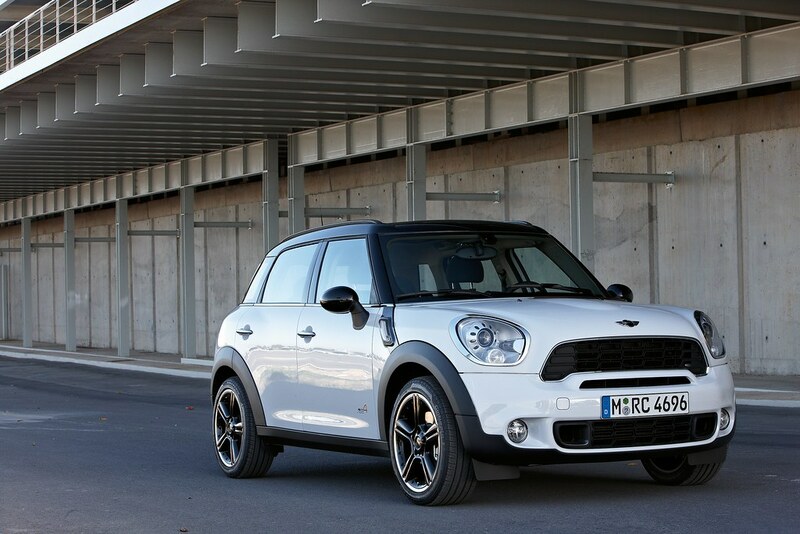 MINI has created a slightly different fit that will not allow for a swap from an X1 to the Countryman for instance. 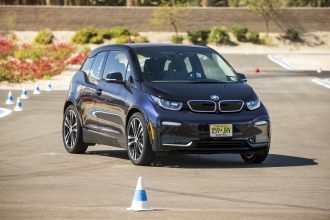 17″ wheels will be standard in the US (smaller in some markets) with accessory sizes ranging all the way up to 19″ and potentially beyond. 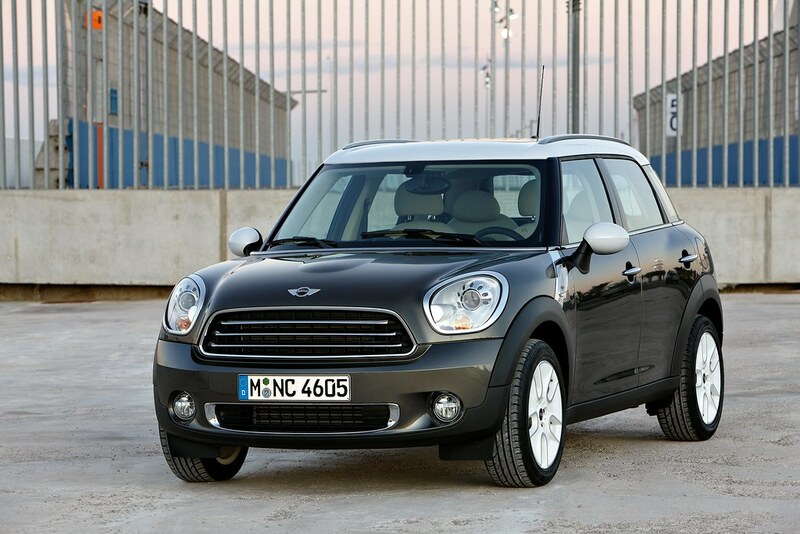 Around back MINI has finished the Countryman with simplicity in mind. 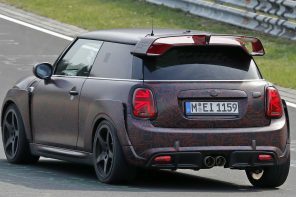 Save for the unfortunately faux rear vents just behind the rear wheels, there’s little ornamentation on the car. 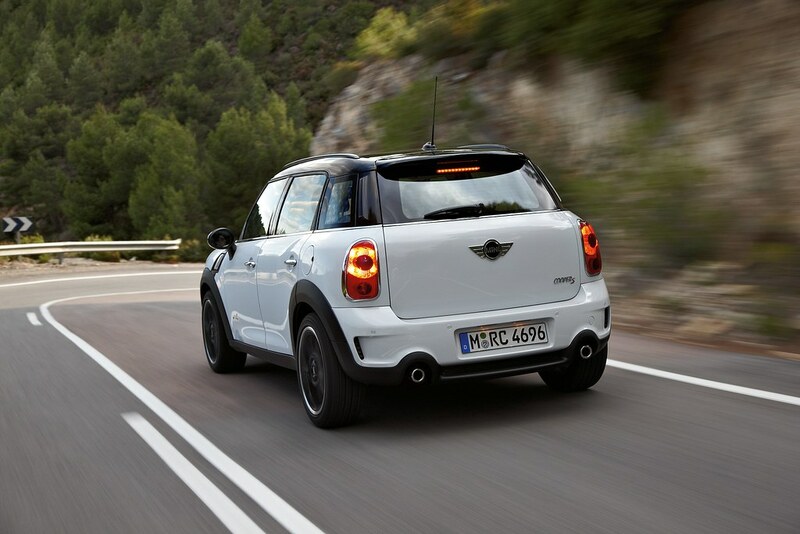 Yes that enormous MINI logo acts as the handle for the hatch much like the current BMW Z4 or the VW Golf. 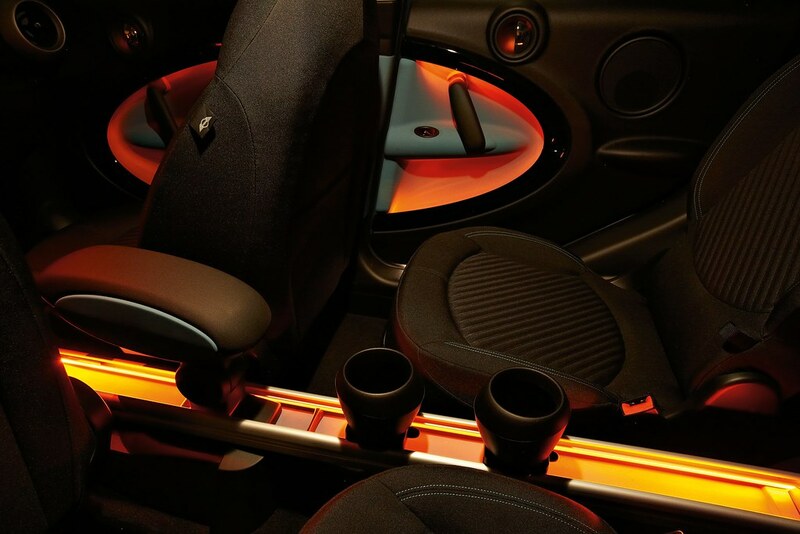 Inside there is a blend of R56 interior design with some important deviations. The biggest addition is the new center rail which weâ€™ll be covering in greater detail tomorrow. 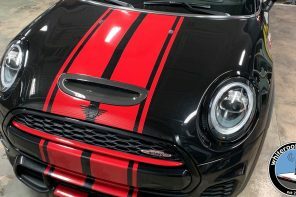 Elsewhere, MINI has created a refined version of what we know currently and it is certainly not out of the question to expect some of this new direction in the R55/R56/R57 refresh coming shortly. 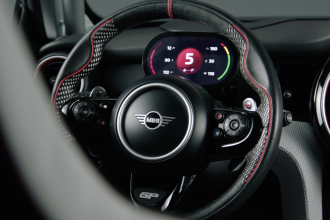 Having sat in a pre-production version of seats, I can personally confirm that the bolstering (both in the bottom seat cushion and seat back) is decidedly superior to the current sport seats in the R56. 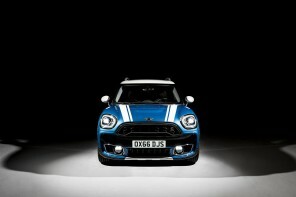 Under this MINI’s hood will be the standard range of engines with their newly revised outputs. 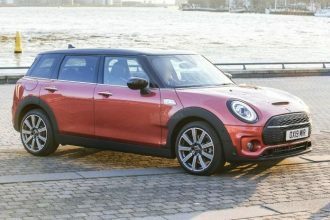 The Countryman Cooper S (the â€œCooperâ€ in the name probably wasnâ€™t needed) will have an output of 184 hp while the Countryman Cooper will make due with 120 hp. By far the best selling model in the UK and possibly Europe will be the new 2.0L diesel engine lifted from the BMW 1 and 3 Series range. 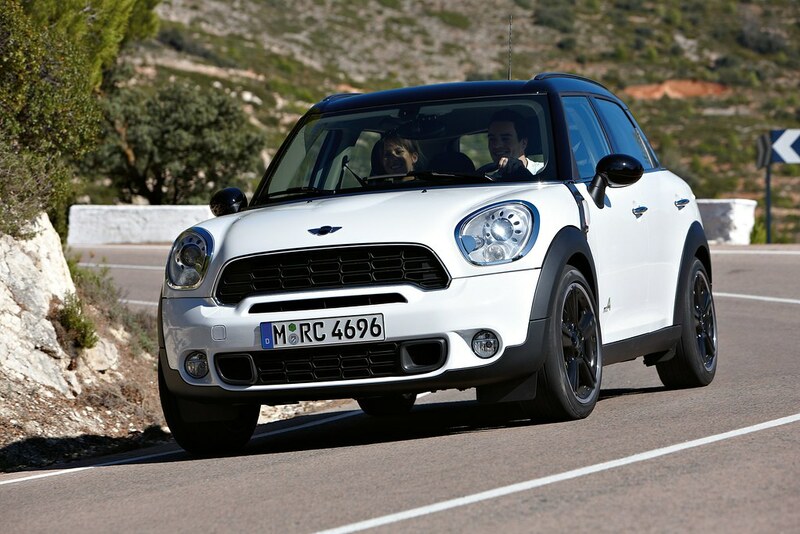 Expect HP ratings around the level of the Cooper S with loads more torque. 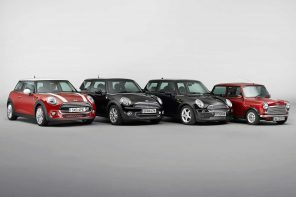 In fact, we believe MINI will be marketing that model as a Cooper S D. We however do not expect this engine to be available at the launch. 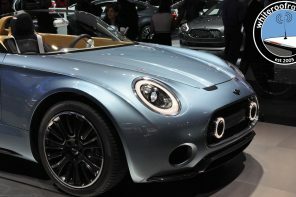 Instead, look for the MINI One D and MINI Cooper D engines to make the initial launch. 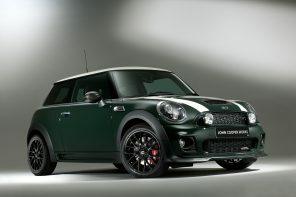 Perhaps the most exciting models will be from JCW. 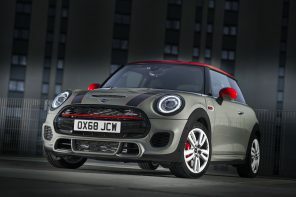 The current 208 hp JCW powerplant will launch sometime in 2011 with a unique body kit, wheels and interior trim. 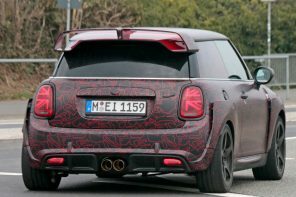 The JCW version will be a welcomed addition but the proposed rally version of the Countryman has us particularly excited. 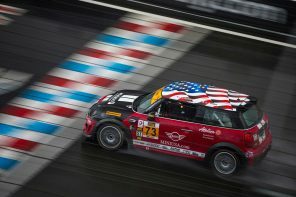 As we previously reported BMW will be taking this new MINI racing in the form of a WRC entry built by famed motorsports company Prodrive. 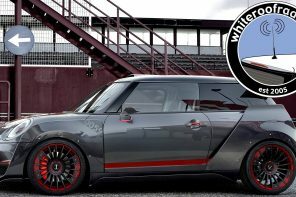 From that rally car MINI will create a limited edition JCW model meant to push the idea of a sport crossover to the limit. 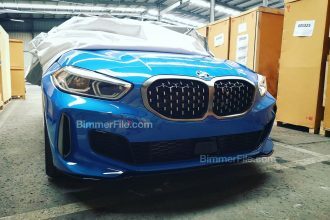 While a tweaked version of BMWâ€™s current 1.6L could do duty under the hood, we wouldnâ€™t be surprised to see a tuned version of the 2.0L diesel show up. Either way we expect a screamer if it comes to fruition. 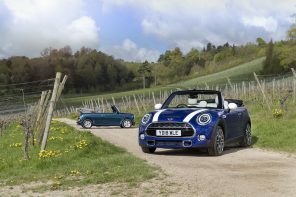 MINI will carry over both transmission options from the current range. 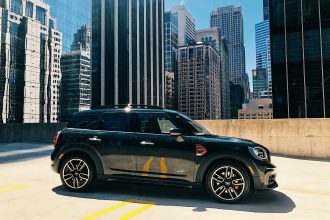 All4, MINI’s first all-wheel drive system is one of the more advanced of its kind in production. 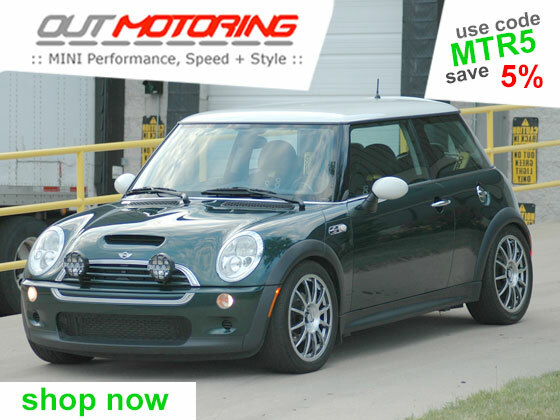 Available only on the Cooper D and the Cooper S models at launch, All4 sends up to 50% of it’s power to the rear wheels. 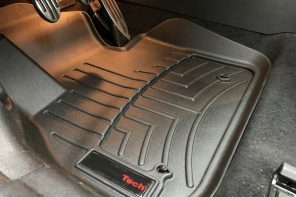 However under extreme conditions All4 can send up to 100% to the rear wheels – highly unusual in a system on a small crossover. 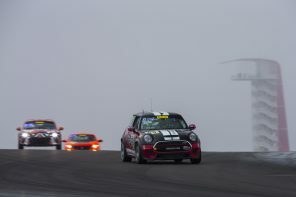 The suspension is based on the R56 design with McPherson spring struts, forged track control arms, and multi-arm rear axle. 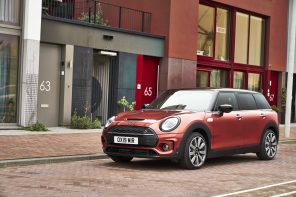 The Countryman also will come with DSC and DTC as either as an option or as a standard feature on the Cooper S and Cooper D with ALL4. 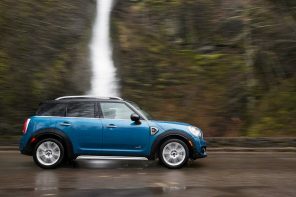 Finally ALL equipped Countryman will have an electronic limited-slip function for the front axle differential. 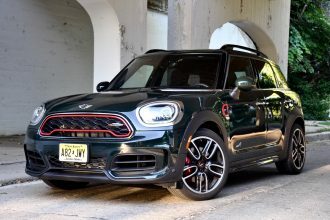 There will be some carry-over from the current color range but ultimately the Countryman will deviate more than any other model offered by MINI. 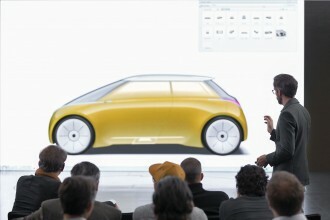 With manufacturing taking place by Magna Steyr in Austria the typical concerns of color capacity will not be an issue. 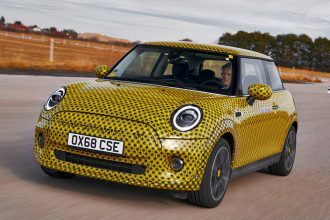 If you would have asked me two years ago what I thought about the idea of MINI building a crossover, I would have told you it’s bad idea that’s bound to backfire with the coming efficiency regulations and certain changes in consumer’s tastes. 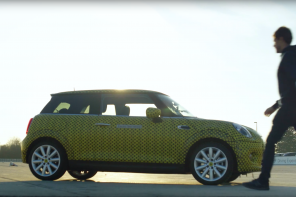 Yet here we are two years later looking at an exceptionally designed car that is easily the most exciting thing MINI has done in years. 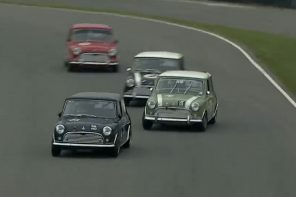 Stretching the MINI brand into this ultra competitive market was clearly a risk. But in our minds they have succeeded on paper at almost every level. Now all that’s left to do is drive it.